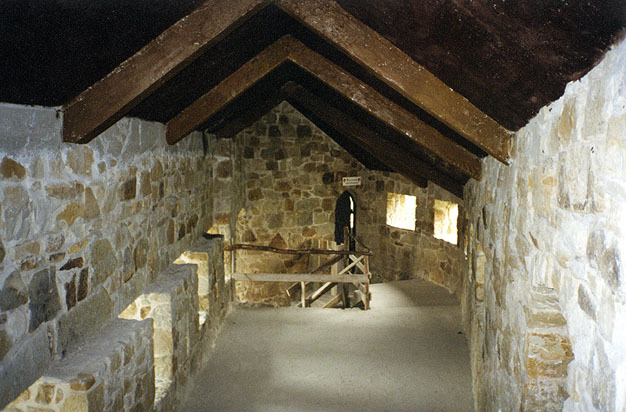 Restoring ruins or even from the scratch is considered a mistake by modern architects. This opinion already existed when Warsaw was rebuilt after WW2, that is why they decided to restore only the Old Town according to its historic shape, while the rest was to be rebuilt in modern style. Castle in Bobolice rebuilt recently. 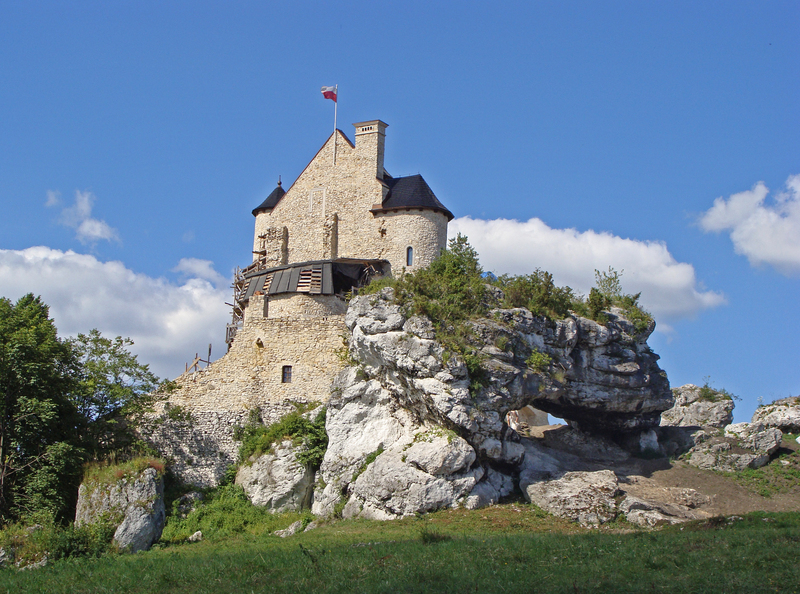 The Bobolice Castle – a royal castle built in the middle of the 14th century in the Polish Jura, in the village of Bobolice. 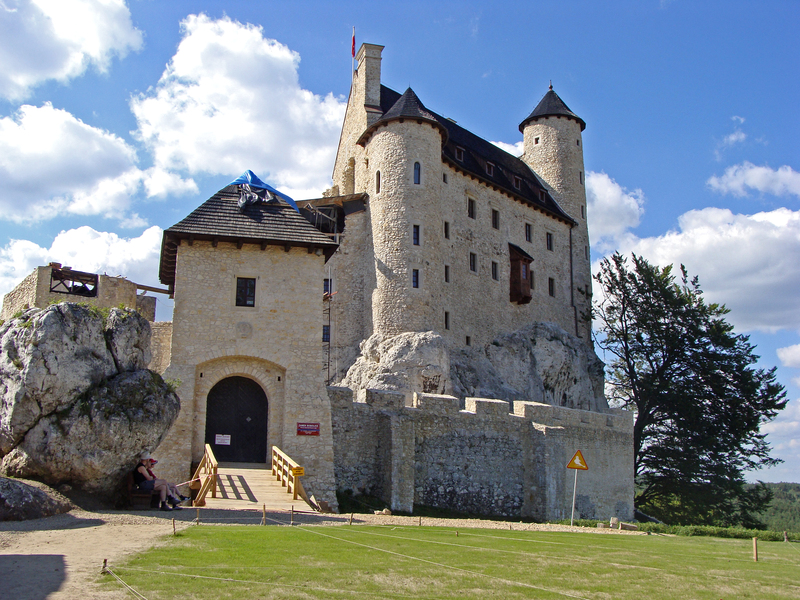 The castle in Bobolice was built by King Casimir III the Great in the middle of the 14th century, probably in place of an earlier wooden structure. 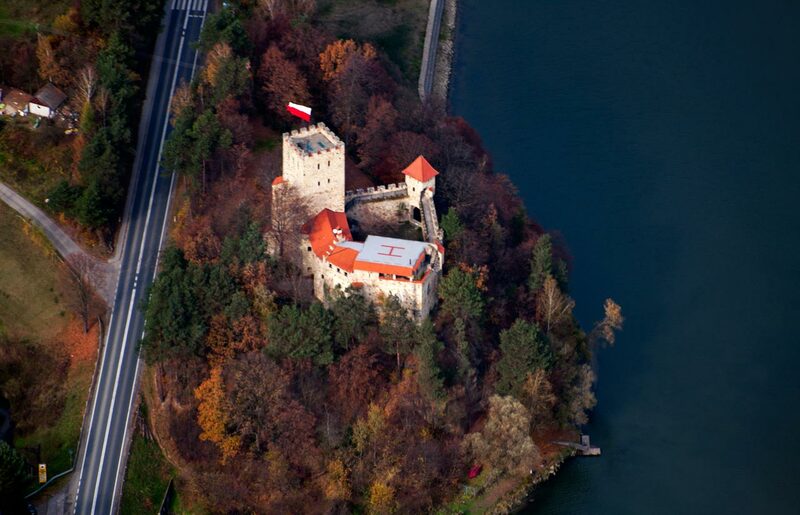 The castle was a part of the defence system of royal strongholds protecting the western border of Poland on the side of Silesia. In 1370, immediately after becoming King of Poland, Louis I the Great granted the castle to Władysław Opolczyk, Duke of Opole, as a prize for his support of the king’s dynastic plans. 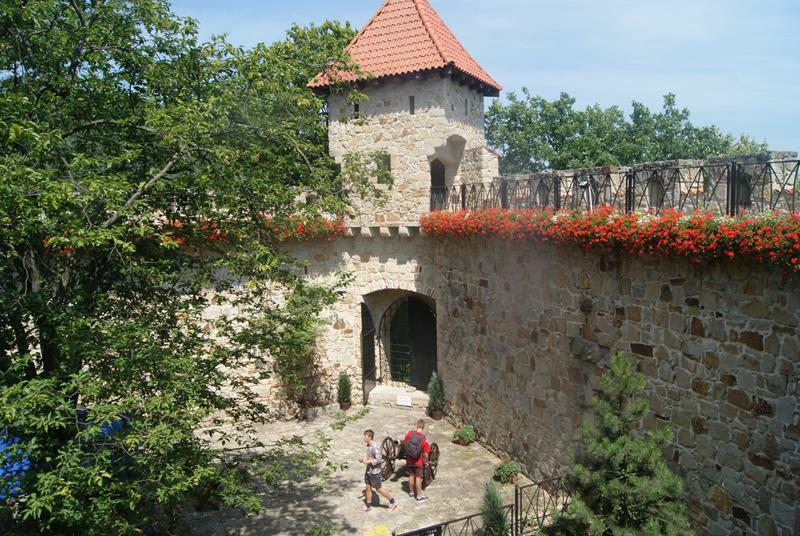 Nine years later Opolczyk leased the castle to Andrzej Schoen, a Hungarian from Barbalas; the new owner manned it with Germans and Czechs, who robbed local inhabitants and conspired with the Teutonic Order. Dissatisfied with their behaviour, the Polish king Władysław Jagiełło invaded Bobolice in 1396 and took over the castle with adjacent estates. From that time on, the stronghold was owned by a number of families, including Szafrańcowie, Trestkowie, Krezowie (Ostoja coat of arms; owners from 1486) and later Chodakowscy, Męcińscy and Myszkowscy (Jastrzębiec coat of arms; owners of the neighbouring Mirów Castle). 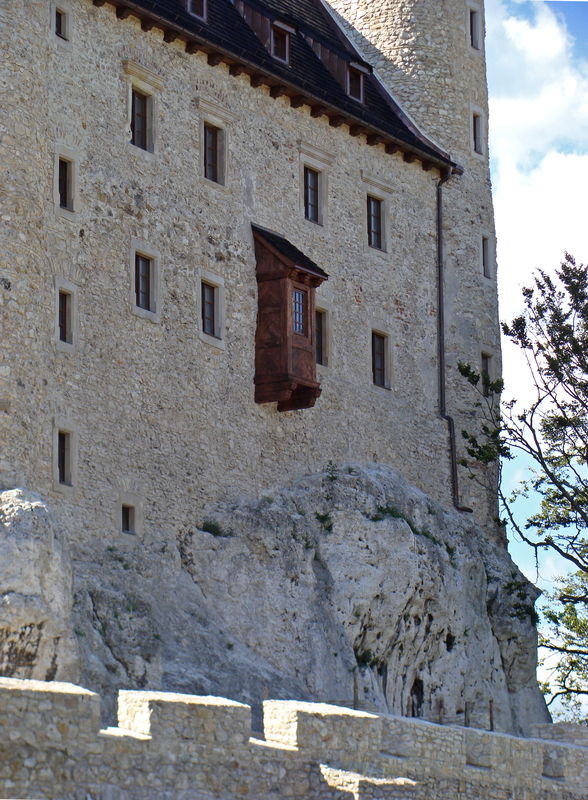 According to 15th century chronicles, a representative of the Krezowie family captured and imprisoned his niece in the Bobolice Castle. She is still said to haunt the stronghold as a lady in white. 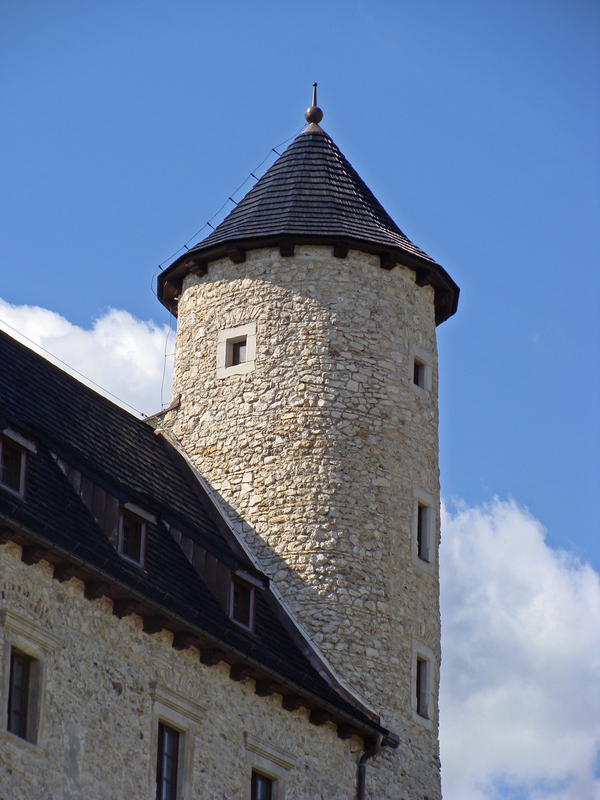 There is also a tale about two twin brothers, owners of castles in Mirów and Bobolice. Legend has it that they dug a tunnel between the two strongholds so that they could often meet tête à tête. One day they came into possession of a big treasure – they hid it in the tunnel and put an odious-looking witch on guard to deter any potential thieves. The brothers understood each other perfectly and could go through fire and water for each other. However, their friendship was put to a difficult test, when one brother brought a beautiful girl from his war expedition. Suspecting that his twin brother may have fallen in love with the girl, he locked her in the cellar near the treasure. One day, during the absence of the witch, who was attending a witches’ sabbath at the Bald Mount, he caught the pair of lovers in the vault. He got angry, murdered his brother and bricked up the girl in the castle dungeons. 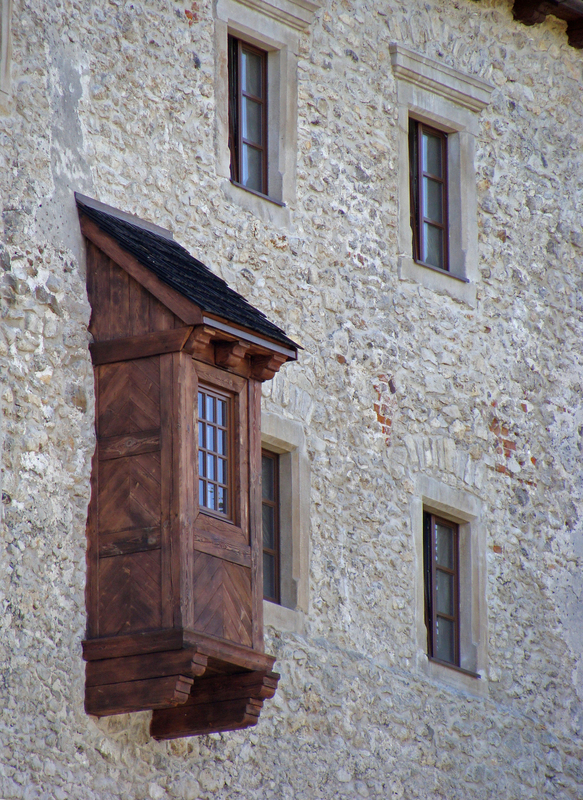 The ghost of the girl is still said to haunt the castle tower. 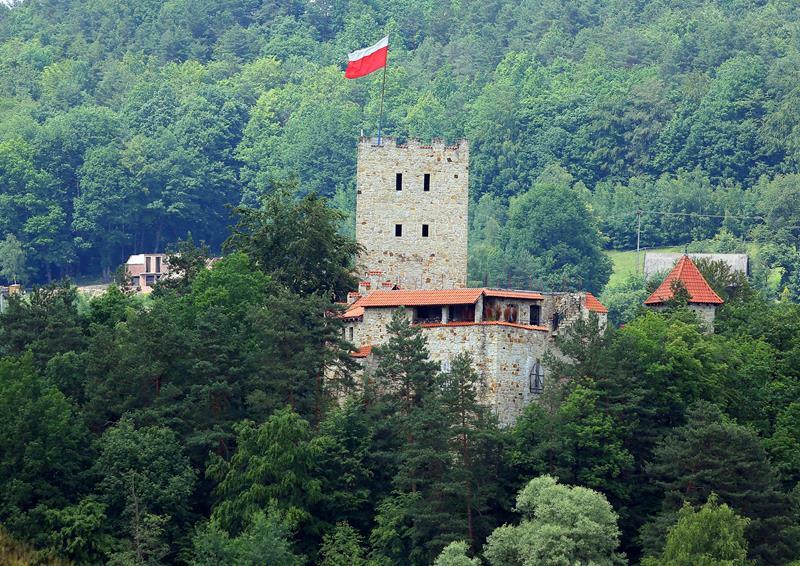 The beginning of the decline of the castle dates back to 1587, when it was heavily devastated during the invasion of Maximilian III, Archduke of Austria, a rival of Sigismund III Vasa to the Polish throne. The castle was reconstructed by the then owners, the Krezowie family, but in 1657, during the Deluge, it was plundered and totally ruined by Swedish troops. 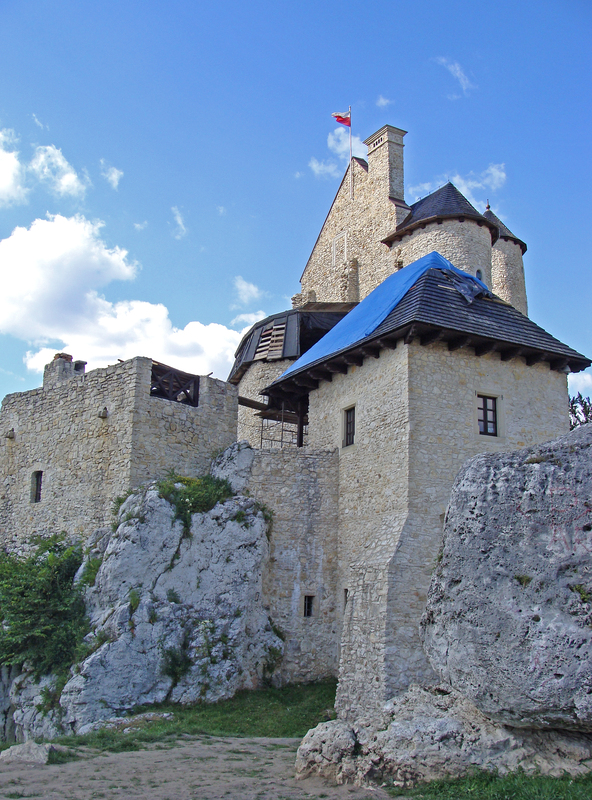 The condition of the stronghold was so bad that when King John III Sobieski arrived here in 1683, he had to spend the night in a tent. In the 19th century a huge treasure was found in stronghold cellars. It is supposed that its part may be stored in the legendary tunnel between Bobolice and Mirów. In 1882, after parcelling out the land, the already deserted walls were acquired by the peasant family of Baryłów. 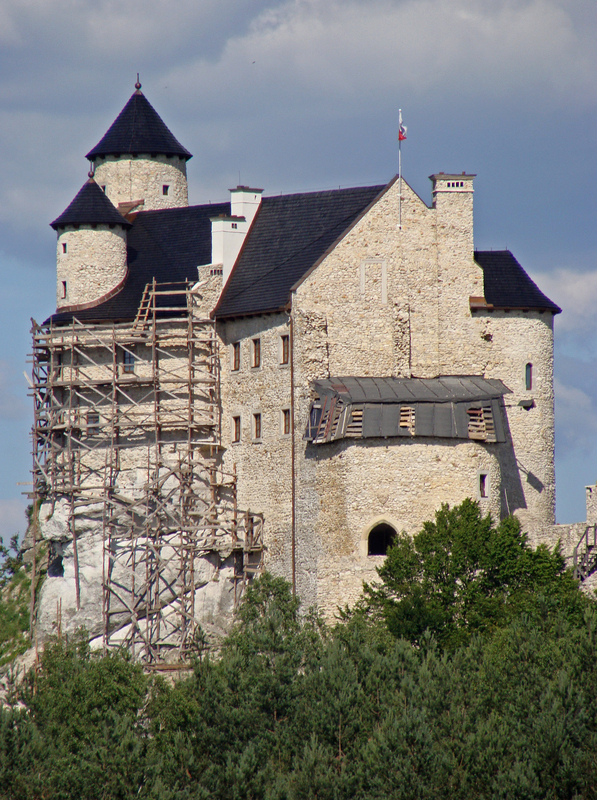 Now the castle belongs to the Lasecki family, who decided to rebuild it in 1999. Rebuilding ruins is considered a mistake by modern architects. This opinion already existed when Warsaw ruins where rebuilt after WW2. That's okay, I consider modern architects a mistake! I'm all for rebuilding ruins. Monuments to humanity's past are inspiring, especially now where there is a trend to build things only for utilitarian reasons, never beauty. That is one beautiful Castle. I hate to think how much money was spent in restoration, but it sure looks like it was worth it. Is this castle open to the public as are many in the UK? Close my city is second castle rebuilded. It is in Wytrzyszczka. pl.wikipedia.org/wiki/Zamek_Tropsztyn Always I come near when go to Kraków. I almost forgot about that one. I visited it 15 years ago, took traditional photos. I don`t remember posting them somewhere here. But I remember a very tall tower with 5 or 6 floors. Don`t worry about money, it means absolutely nothing. Plans to rebuild a palace in Warsaw are considered extremely controvercial. 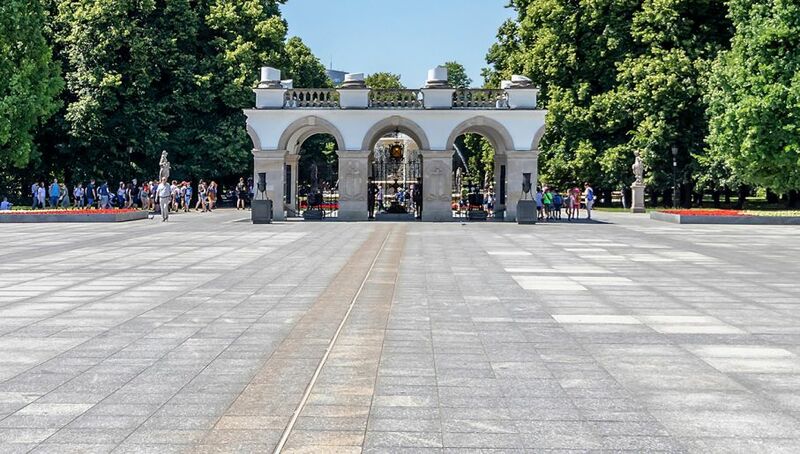 A recent announcement by the president of plans to rebuild the Saski Palace that once stood on Piłsudski Square in Warsaw has raised questions and renewed interest in the historical palace. Chief among the questions is what will the rebuilt palace be used for and how long will the rebuilding take? President Duda’s Independence Day announcement also reopened a discussion that has been going on for several years about pros and cons of the rebuilding. Duda went some way to explaining the sense of the rebuilding project in the declaration he signed on November 11, in which he envisaged “the reconstruction of the Saxon Palace as a permanent monument of independence, a symbol of state continuity and the attachment of citizens to Poland’s culture and heritage, which constitute the common good of the entire nation." 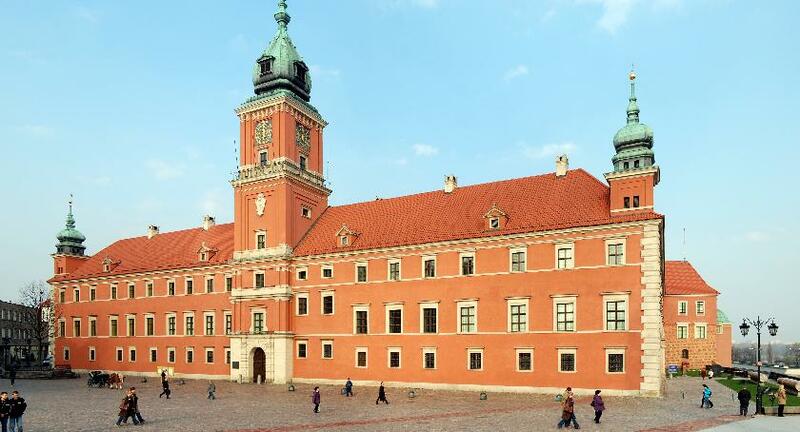 The head of the government, Mateusz Morawiecki, meanwhile, has said he would like the reconstructed palace to take the name the Palace of Independence. One issue that remains unclear is what exactly will be rebuilt. 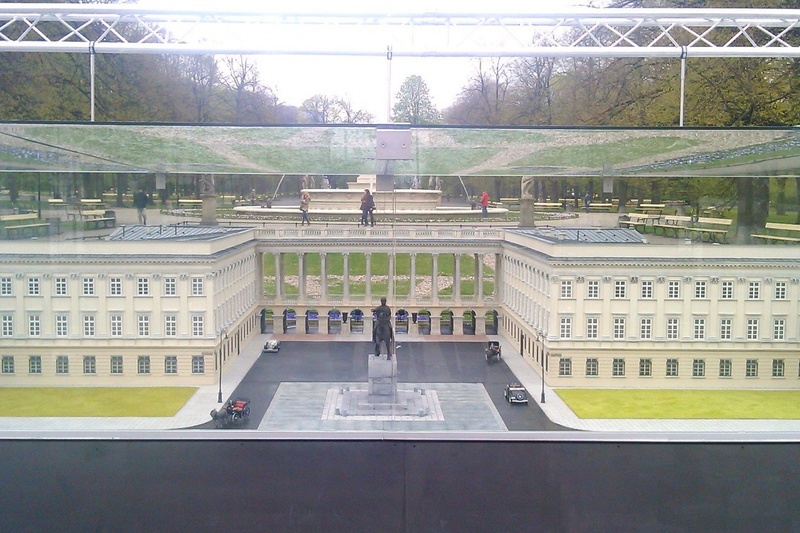 The western frontage of Piłsudski Square consisted of three elements: the Brühl Palace, in which the Ministry of Foreign Affairs was located before the war; the Saski (Saxon in English) Palace in the middle of which was the colonnade with the Tomb of the Unknown Soldier, and on the northern edge a line of tenements on Królewska Street. According to visualisations it looks likely that Saski Palace along with its adjoining tenements will be reconstructed. 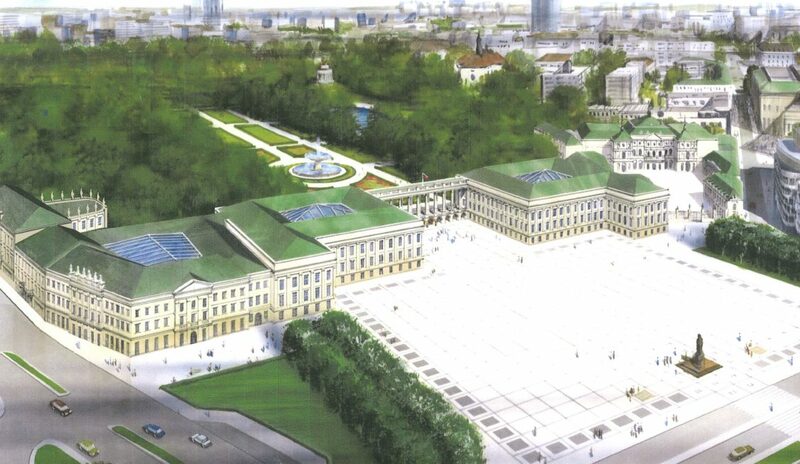 Whether the much more architecturally attractive Brühl Palace will be rebuilt is not known at this stage. 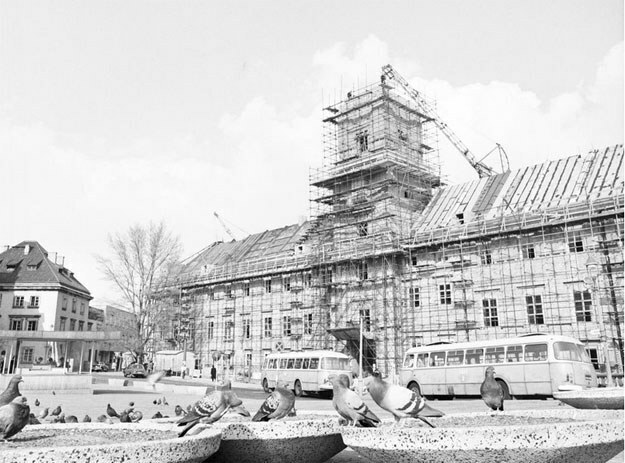 The reconstruction of the Saski Palace is not a new idea. 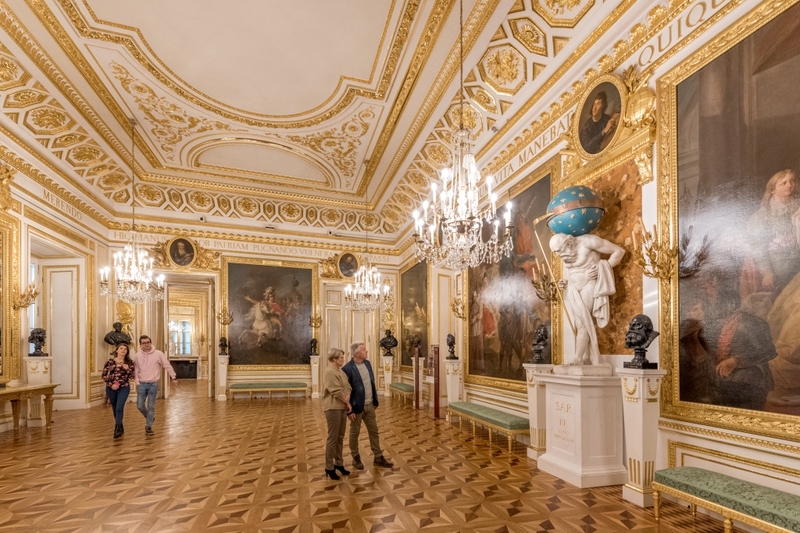 The initiative was supported by Lech Kaczyński when he was mayor of Warsaw, and a company was even selected to design and rebuild the palace at a cost of around PLN 200 million. One of the ideas was to transfer Warsaw City Hall there. Ultimately, however, in 2008, Warsaw’s new mayor at the time, Hanna Gronkiewicz-Waltz, shelved the project citing the financial crisis as the reason. Despite this setback, the idea was kept alive by the association Saski2018, which was set up to promote the idea of reconstruction. The group has been active for five years and has over 27,000 followers on Facebook. Saski 2018 has estimated that about PLN 262 million will be needed to complete the project, while others have quoted figures up to PLN 1 billion. One issue highlighted by critics of the plan is that the palace’s foundations that were revealed during ground work just over 10 years ago have been entered onto the heritage protection list, thus complicating any future building work on the site. Maria Wardyńska, an archaeologist from Saski 2018, allays these concerns. “Only the most valuable, best preserved cellars of the Morsztyn palace from the 17th century were placed on the list,” she assured in an interview with PAP. “The rebuilding plans don’t threaten these at all. 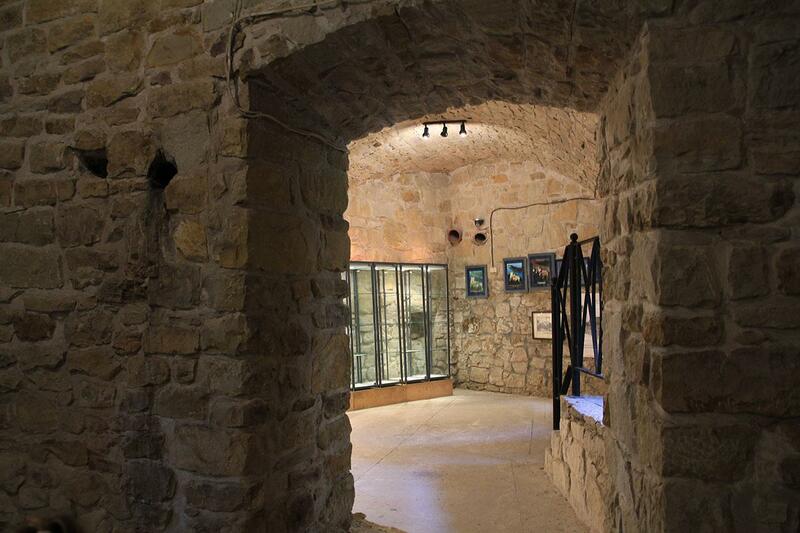 Quite the opposite – the tender from 2008 stated that the cellars should be accessible to visitors, for example by glass walkways,” she added. Indeed, the Saski Palace was only the last iteration of buildings that stood on the site over several centuries. The first palace was built in 1661 by the poet Jan Andrzej Morsztyn and was modelled on the Palace of Versailles in France. It was then purchased in 1713 by the Saxon king of Poland August II the Strong, giving it the name used today. It was under his rule that the whole Saxon Axis running from Krakowskie Przedmieście up to the Mirów barracks, where the Mirowska market buildings are now, was designed and built. In 1804-16, the palace housed the Warsaw Lyceum, where Fryderyk Chopin’s father was a teacher, and the Chopin family lived on the second floor. 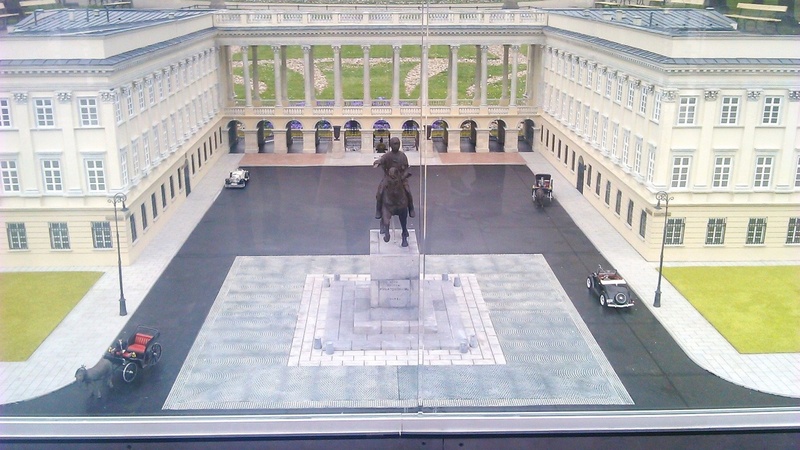 In the times of the Congress Kingdom, the square in front of the building was used for drills and military parades. During the November Uprising in 1830, the building was destroyed and rebuilt in 1838-42. At that time, two independent buildings with internal courtyards were built, and the main body of the palace was pulled down. The colonnade erected at that time connected the palace to the nearby Saxon Garden. 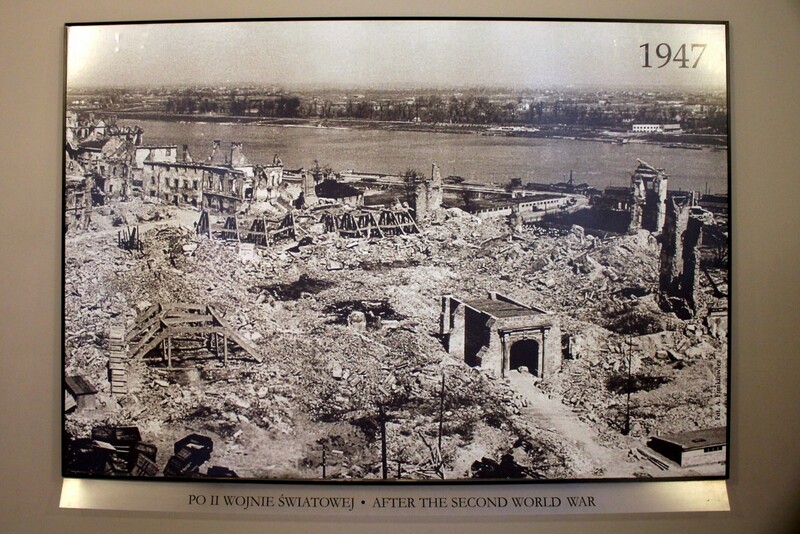 In the interwar period, the General Staff of the Polish Army was housed in the Saski Palace and it was there that Soviet radio messages were decoded, which helped give Poland victory over the Bolsheviks in the Battle of Warsaw in 1920. 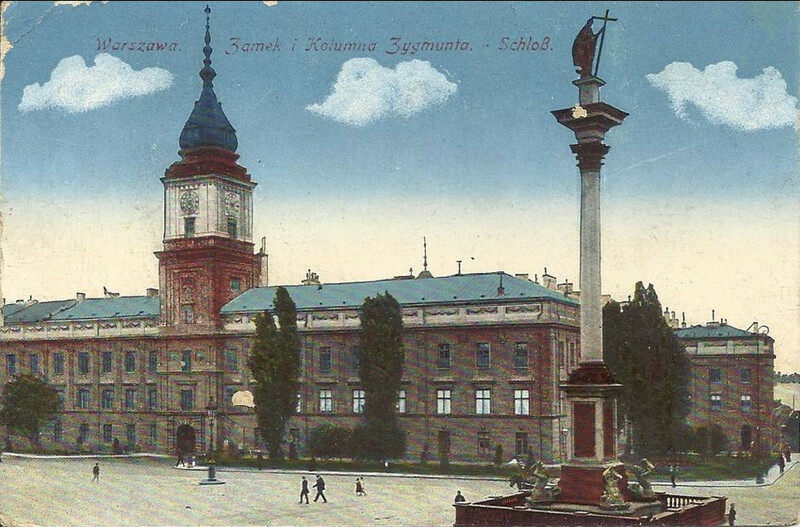 In 1923, the monument to Prince Józef Poniatowski that now stands in front of the President’s Palace was placed in front of the building, and in 1925, the Tomb of the Unknown Soldier was placed under the colonnade. In 1932, the German Enigma cipher machine was broken by Polish mathematicians working in the building. 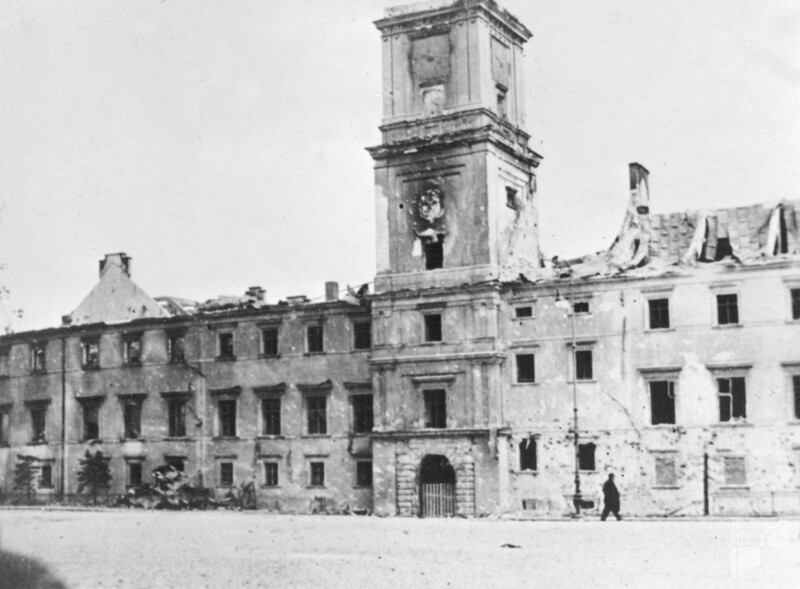 During the war, the palace was occupied by the Wehrmacht. 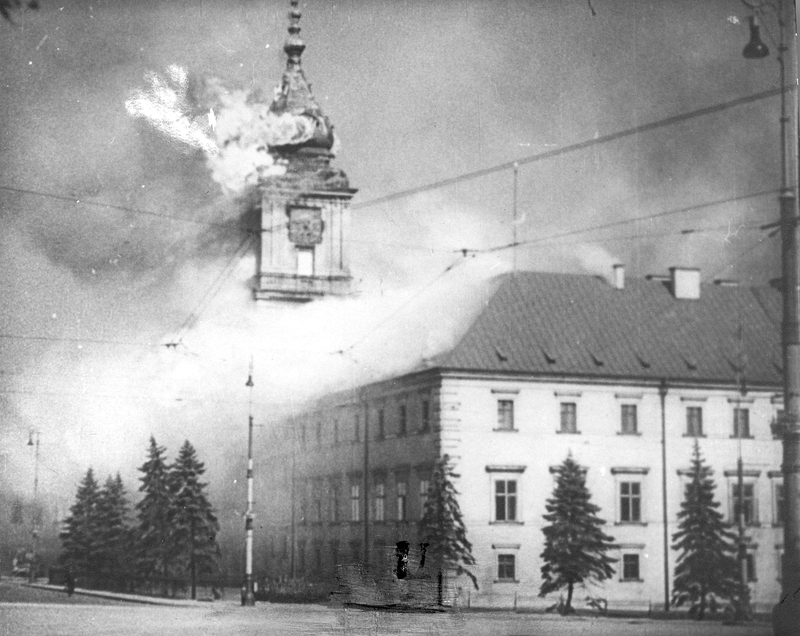 In December 1944, after the fall of the Warsaw Uprising, the palace and the neighbouring Brühl Palace as well as the monument of Józef Poniatowski were blown up. Only a fragment of the colonnade with the Tomb of the Unknown Soldier survived, which since that time has become the unique symbol of Poland’s statehood and wartime suffering. 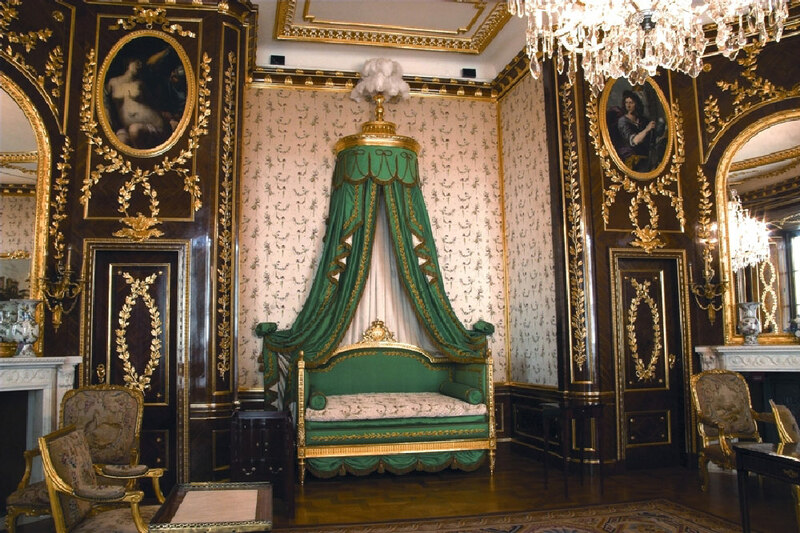 There is no doubt then that the palace complex is inextricably linked to the vicissitudes of Poland’s history. However, no decisions have yet been made about what function the building will serve. 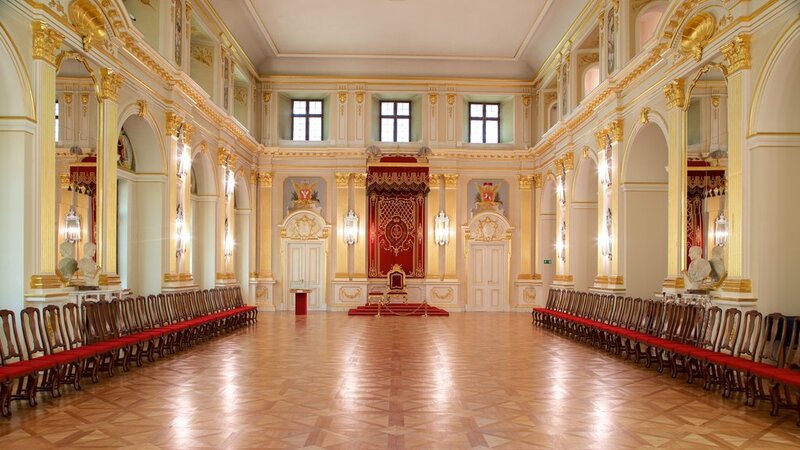 One idea is that the Senate will find a new home in the Saski Palace and the foreign ministry will move into its former home in the Brühl Palace. An argument in favour of this is that the Senate’s current home within the Sejm buildings has always been a temporary measure. 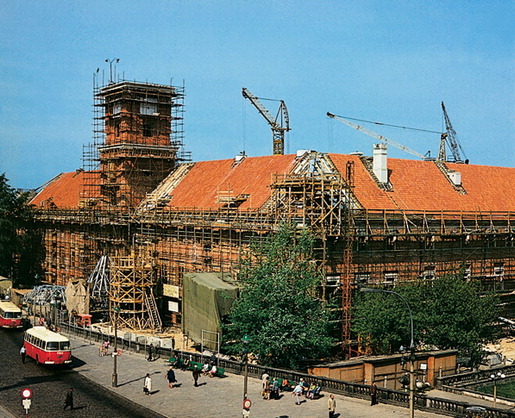 Whatever the future function of the palace complex is, there are fears that the result will be similar to the botched 1990s rebuild of the Jabłonowski Palace on nearby Theatre Square, which mixed a historical façade with a fully modern interior, the storeys of which do not match up with the windows, which can clearly be seen from the street. Maria Wardyńska, however, points out that the building conditions for the complex from 2006 make it clear that this won’t happen. “The decisions relate to size of the buildings, the division of each storey in line with the arrangement of the façade windows, and that the façade decoration should use traditional techniques. “These decisions remain in force and they protect against the rebuilding being like a painted Easter egg with the insides blown out,” she assures. The final unknown is when the palace will eventually be rebuilt. In a radio interview on RMF FM presidential minister Andrzej Dera said: “I am not a builder so I can’t say when work will be completed. First there has to be an idea, then there has to be a decision, then there has to be building permission, which then has to be implemented”. I know I have expressed my opinion before on rebuilding these destroyed buildings according to how they looked before the war, but I want to say it one more time...in my opinion there is no difference (except perhaps in cost and time) between restoring these beautiful buildings and restoring a valuable old painting which happens all the time! The buildings are in themselves works of art and a tribute to the creativity and talent of those who built them...they are part of our collective past as human beings and worth salvaging. There are various attitudes and you should remember from other threads that some architects objected to rebuilding Warsaw after it had been razed to the ground in 1944. They claimed it wasn`t the same architectonic history that rebuilders tried to recreate. Of course it wasn`t, because they had to use old paintings of Warsaw from 18th century to have some clues. But who cares about it today? 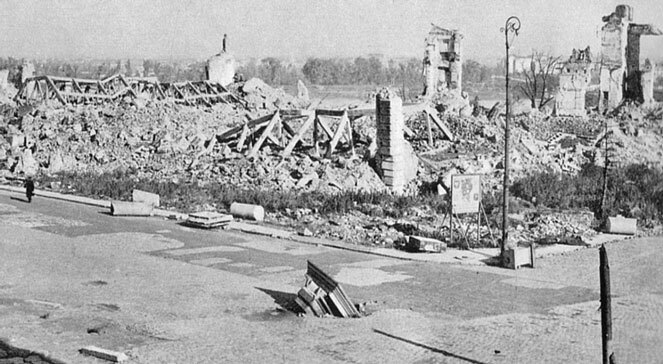 The best example - virtually nothing was left by Germans of the Royal Castle in Warsaw - we can`t even call it ruins - just a pile of rubble. 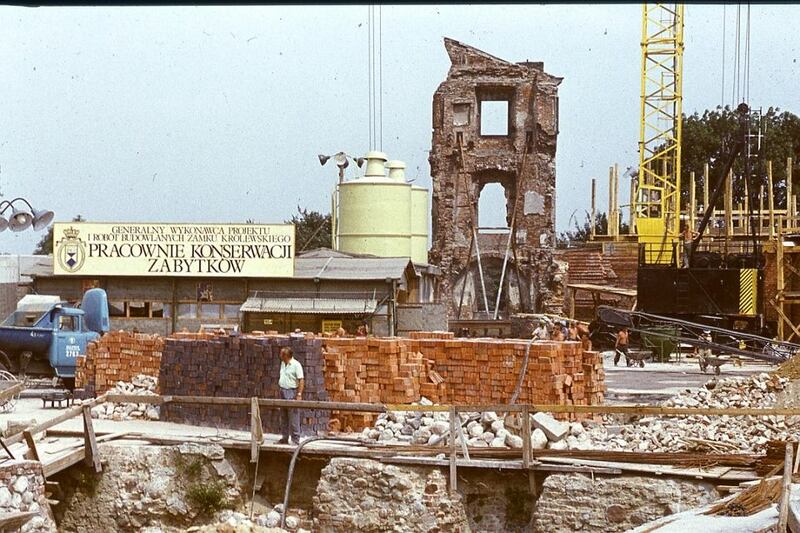 The best example - virtually nothing was left by Germans of the Royal Castle in Warsaw - we can`t even call it ruins - just a pilce of rubble. Yes, resiliency. 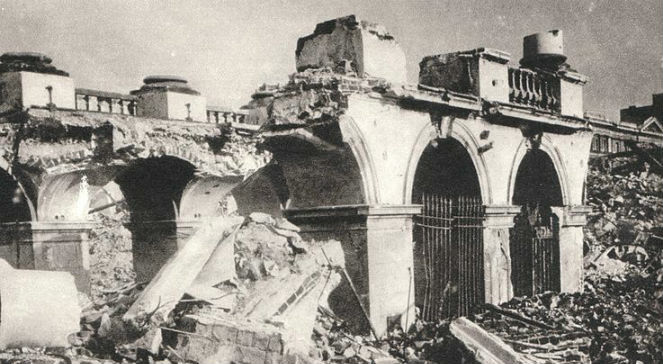 During the first bombing of the Palace, the staff employed there endangered their lives to rescue the historical exhibits and decorative elements which could be destroyed. They hid them in secret places and later the pieces were used to restore the interiors. Oh yes, I completely forgot about that one. We visited it when digital photography wasn`t available. Built by a private owner from pure scratch. That tower has 5 or 6 floors as far as I remember. The castle was menntioned as „already stone” in 1382 - means that in 13th c the wooden fortess was there. The family Ostroróg was the founder of the castle. Loceted at the peninsula surrounded from tree sides by water, is connected with Tropie village on the opposite river bank. 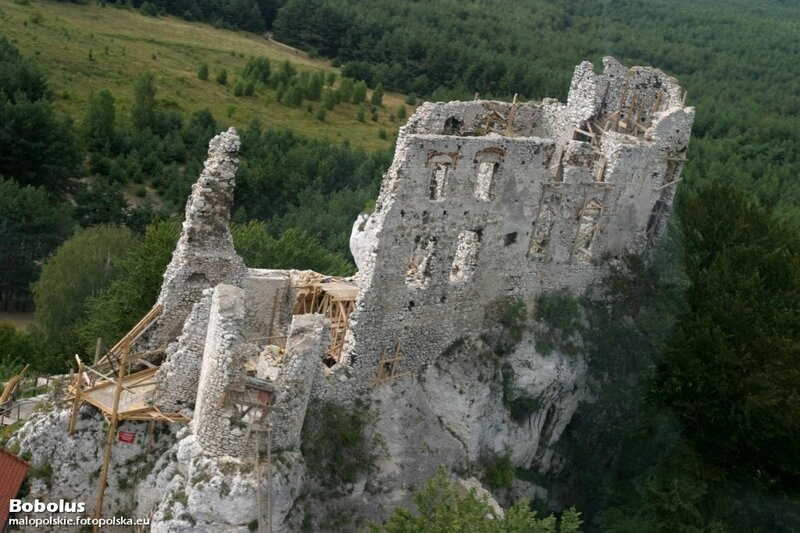 In 16 th c, during Reformation times, turned into ruin by owners of the Różnów . Rebuilt in 20 th c by private owner is now available to visit. That`s simple - they possessed photos, drawings and paintings of the interiors, also many people remembered how the rooms had looked like before the war. And with the state financing the reconstruction, anything is possible - it cost a gigantic fortune but money wasn`t important. After all, it is only money. But why? Living in the USA you should know that money works wonders, makes the world go round etc. Yes, I do know that about money which is why this restoration amazes me so much. I cannot imagine the AMOUNT of money that must have been spent to reproduce this intricate, ornate interior! For that reason communists delayed the reconstruction (there were also political reasons - kings and aristocracy were the enemies of common people, after all). They decided to start works as late as 1971 when the old political leadership had been deposed after a brutal massacre of striking workers and the country was on the brink of anti-communist rebellion. New leaders tried to regain the support and trust of citizens. Money was the least problem of all, that is why I am amazed that you are so amazed. Well...how would someone like me, an American who knows zilch about European history after WWII, know that?? It just goes to show how careful we have to be about judging others and their opinions, since we know not what their knowledge and impressions of the world are...everyone's mindset in influenced by different experiences in their lives! I'm amazed that you are amazed that I am amazed!! No, when I said I was amazed by your amazement I was talking not about historical background of events because it is natural you didn`t know them. Most Poles don`t, so why should a foreigner do, even one so deeply interested in Polish matters ? I meant that the fact you were in awe at the amount of money they spent on the rebuilding was surprising. Let me say it in this way because I was probably too vague before - with or without intricate political reasons at the time, a Royal Castle in the capital city is a primary cultural heritage in any country which was doomed to eradication by its enemies, and the problem of money just stops being of any importance when the peoples decide to restore their national treasures. Compared to such priorities as keeping one`s national identity, this was only money and nothing else.